Cosmetic Acupuncture - Ye Chinese Medicine, Toronto fertility clinic,acupuncturist, RateMDs, infertility treatment,Traditional Chinese medicine, TCM, herbs, IVF, IUI, fertility clinic,Total Wellness Centre,fertility causes,Richmond Hill, Toronto. 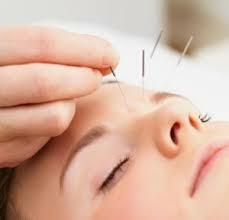 It is based on the principles of Chinese Medicine, which involves the insertion of very thin disposable needles into the acupuncture points on the face. This superficial insertion will increase the local circulation to the face and stimulate collagen production, which will fill out the lines and give firmness to the skin for a healthy, glowing complexion. Increases collagen production. Relaxes muscle tone, Increases circulation, therefore oxygenates the skin. Keeps acne skin under control. Tightens the pores, and brightens the eyes.